Updated at 8.30pm (UK GMT+1) August 30th, 2018.. The recovery seen across the most traded cryptocurrencies has spluttered to a halt over the last 24hrs as the Bitcoin led crowd failed to hold on to the gains they have made over the last couple of days. In the last 24hrs, only one coin has managed to prevent a great than 2% loss, but only one lost more than 5% – which would probably characterise the market movement as ‘sideways, but disappointing’ given recent levels of volatility..
With one exception, trading trading volume were down across the Top 10. The total market cap of all cryptocurrencies now stands at just above $222bn – down a further $5bn from yesterday’s figure, and $8bn over 48hrs, according to CoinMarketCap. Bitcoin’s share of that value grew .4% to 53.4%, moving closer to the 54.5% high we’ve seen during 2018. 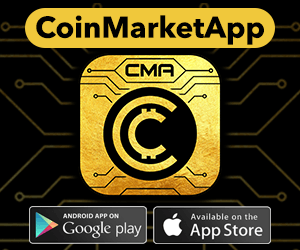 Today, the 10th placed coin registered a total volume of around $98m, down around $13m from what would have been required to make the Top 10 yesterday. The price of Bitcoin (BTC) has receded another $100 since yesterday’s report, where the headline was it’s drop back below $7,000. It’s downward trajectory has not been linear, however. Instead, it’s parabolic path took in another breach of the that barrier when it again failed to breach the downward trend-line of 2018 and get across the resistance at $7,100 – with the Bullish effort falling short at just under $7,080 and the bearish trend that’s dominated much of 2018 reasserting itself. This chart from trading view charts its path. The spluttering out of that recovery Wednesday evening (GMT) is indicative of Bitcoin’s general trend of 2018, which we explored yesterday after BTC spent most of the day trading in a channel between $7,050 on the support side, with resistance at $7,120 with the bears and bulls battling across a tight no-mans-land of a channel. Below, you can see the 2018 trend we pointed out then – and which it seems the last 24hrs of BTC’s price performance has continued to conform to. This seems to have established $6,880 as a new point of resistance – and probably puts the price back on track to revisit $6,000, should there not be a serious reversal of sentiment driven by external events (we’re looking at you, SEC). Among the gaggle of other Top 10 cryptos, EOS (EOS) proved itself to be the most insulated from the downturn, suffering a downturn of less that 1.5%. It comes on the back of a week of positive news, certainly price wise, for the dApp platform – including news that, volume wise, its apps were outperforming those based on Ethereum (ETH). The second most traded crypto dropped by nearly 4% in the same period, and was again unable to breach the $300 mark after getting as close as it has been in a while in the early hours of Wednesday (GMT). Bitcoin Cash (BCH) was the only member of the Top 10 to see and increase in volume, though that did not spare it another drop in value of nigh-on 5%. It, like all of the Top 10, is still in the green over seven-days, but things are far from rosy in the BCH garden, as the threat of a schism between its main players looms large. Will it’s current price point of $530 is well north of the sub-$500 levels it briefly visited in mid-August, it’s not a value that inspires confidence compared to where it was only a few month ago in late-spring. Ethereum Classic (ETC) lost close to 3%, while ZCash (ZEC) lost just in excess of that. Neo (NEO) and Dash (Dash) both dropped by around by closer to 5% over 24hrs. All those drops came after generally good weeks, though, leaving them up over seven days. ZCash (ZEC) moves back into the Top 10 in 9th position, on the back of a total volume around $108m. Ontology (ONT) moves out of the Top 10 today after only a single day on the chart. Ripple (XRP) makes the biggest move among the Top 10 coins – though not in the direction it would like. The 5%+ drop takes it back down towards $0.32 – around a third of what it was worth in May, let alone the $3.30 it could have cost you in early 2018. After reporting its BBC-powered gains yesterday it stands that we must note Decentraland giving back 9% in value to profit taking today. Though it’s worth noting that none of the drops here leave a coin less valuable than it was seven days ago. That’s no mean feat in these bearish times.